Located 8 Km away from Parwanoo, Mughal Garden offers a picturesque view of flowers and flaunt everyone with its natural beauty. 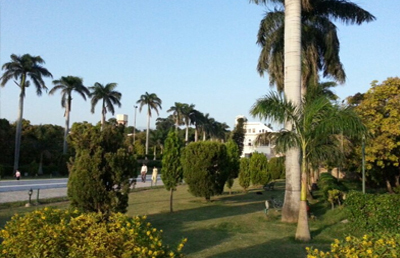 This garden is also very close to Chandigarh (22 Km) and Pinjore (14 Km). It is a must-see attraction similar to the Charbagh garden in Kashmir. This striking garden was designed by Nawab Fidai Khan (the cousin of Aurangzeb) in the 17th century. It is a beautiful location of the area and must-see attraction in the itinerary of people travelling to Parwanoo. 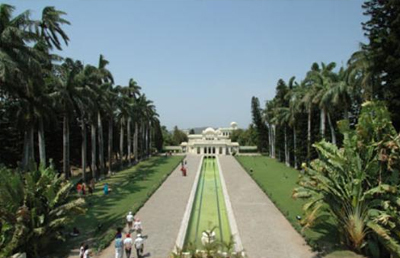 Designed in typical Mughal style across seven terraces, the main attractions of this garden include a grand entrance, water fountains, lined up cypress, palm trees and lovely flowerbeds. In addition to this, a mini zoo also draws a number of tourists from India and abroad. Mughal Garden is popular as Pinjore Garden and the walls of this garden are etched with references from Quran to heaven. It's a perfect location for a family picnic. Whether you are a nature lover, adventure seeker or photographer, this place offers everything as it is combined with nature, adventure and beautiful sceneries. Timings and Fees The garden remains open on all days from 7 am to 9 pm.